One of the most eco-friendly and healthy ways to get around is via bike. And every now and then, your ride is going to need a tune-up. That’s where Indiana’s best bike shops come in. Offering top-notch services from an expert staff and all the accessories and gear you’ll need, you’ll soon find your favorite store. Here are the 10 best bike shops in the state. Kokomo Schwinn Cycler has been serving the Kokomo area and all its bicycle needs for 51 years. They have a large selection of bicycles and accessories to choose from, and they service all makes and models of bicycles. You won’t find a better place in Kokomo to get your bicycle serviced. When you walk in the door, be prepared to be met by the shop’s very handsome and loveable feline, Gray. Family owned and operated, V.C. has become a favorite among Lafayette residents. Whether you are buying your first bike or searching for a new one, Virtuous Cycles is the place to go. Another family owned and operated bike shop, Curfman’s Cyclery in Marion has been the place for Marion residents to go for all their bicycle needs since 1962. 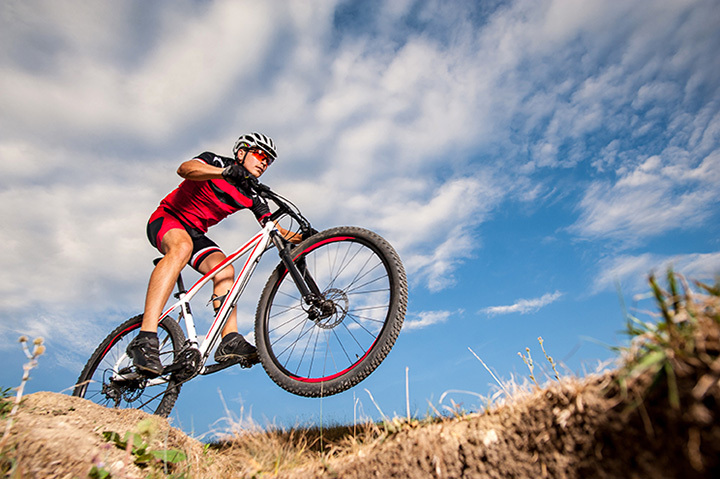 They believe that cycling is a way to have fun, be active, and stay healthy, and CC prides themselves on providing outstanding customer service. Though they offer and service many different brands, Curfman’s primary focus is on Trek, Masi, Haro, and Del Sol. Neighborhood bike shops are always great and never go out of style. If you are looking for a great neighborhood bike shop in Indianapolis, don’t hesitate to check out Indy Cycle Specialist. Owned and operated by biker and mechanic Scott Irons, ICS has been in business since 1993. ICS is a full-service bike shop, and known for its customer service and dedication to educating their clients in all things bicycles. The Greenway 500 Bicycle Shop is the place for all your bicycle needs in Muncie. Owner/bike aficionado Mike N’Neil prides himself on keeping up with the changing of technology when it comes to bicycles, and it’s clear with every visit that he takes pride in his work and providing the best possible service to his customers. Be sure to visit the Flat Tire Lounge for snacks and drinks, and be prepared to talk bikes! Locally owned and operated by an amazing husband and wife team, the Bicycle Station in Columbus, Indiana has been serving all of Columbus and southern Indiana since early 2000. Owners and staff all believe that bicycling is a way of life, and a way to help make our planet a healthier one. They service all makes and models, and even offer a “fitting” service to ensure you and your bike become one. In need of a unicycle or a tricycle? Look no further! Breakaway Bike and Fitness in small town Peru, Indiana, believes in helping people to pursue a healthier lifestyle. The shop opened in 1989, and has been providing excellent customer service and superior knowledge ever since. What makes Breakaway Bike and Fitness a bit unique compared to other bike shops is that they also carry skateboard and scooter supplies, and conveniently located within walking distance of the skate park. Hesitation Point Bicycles in southern Nashville, Indiana, is the place to go for all your bicycle needs, especially those of you who favor mountain biking. Located just a half mile from some of southern Indiana’s most amazing mountain trails, Hesitation Point has it all. From mountain bikes, hybrids, and more. They also have a repair shop, offer biking clothes, shoes, and accessories. They are your one stop shop! LoKe Bicycles in Fishers, Indiana, believes that there is a bike for every person. The name itself comes from providing customers an easy, low key experience in talking and buying bikes. They also offer pick-up and delivery services, in addition to the ‘Grow Fast Program,’ which allows you to trade in your child’s old LoKe bike and use the money towards the purchase of a child’s bike. Clarksville Schwinn Cyclery has been serving all of southern Indiana and parts of northern Kentucky for over 40 years. Offering services such as free assembly, a year of free adjustments, test rides and custom bicycle fittings, it’s easy to see why Clarksville is one of the best bike shops in Indiana. The customer service is great, and the selection of bikes are endless!